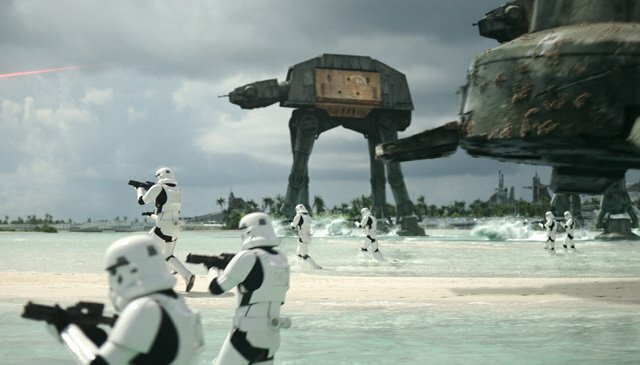 Rogue One: A Star Wars Story debuted an impressive $71 million on Friday from 4,157 theaters in North America. That includes the $29 million it earned at Thursday previews. If the film plays like Star Wars: The Force Awakens, it could add another $41 million today and about $32 million on Sunday for a weekend total of more than $145 million. Rogue One received a strong A CinemaScore from audiences. Stay tuned on Sunday for the worldwide box office estimates! New Line also debuted Collateral Beauty, starring Will Smith, in 3,028 theaters, but the film managed to bring in just $2.4 million on Friday and is headed for only about $6.5 million for the weekend. Audiences gave the film an A- CinemaScore.